front handle bar), and dynamic chain steering for manoeuvring through the streets. 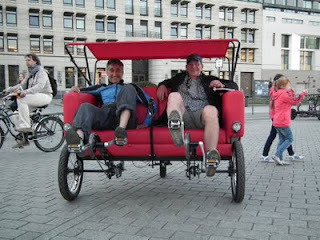 Two extra soft bolsters are included that can be removed according to the driver's height. 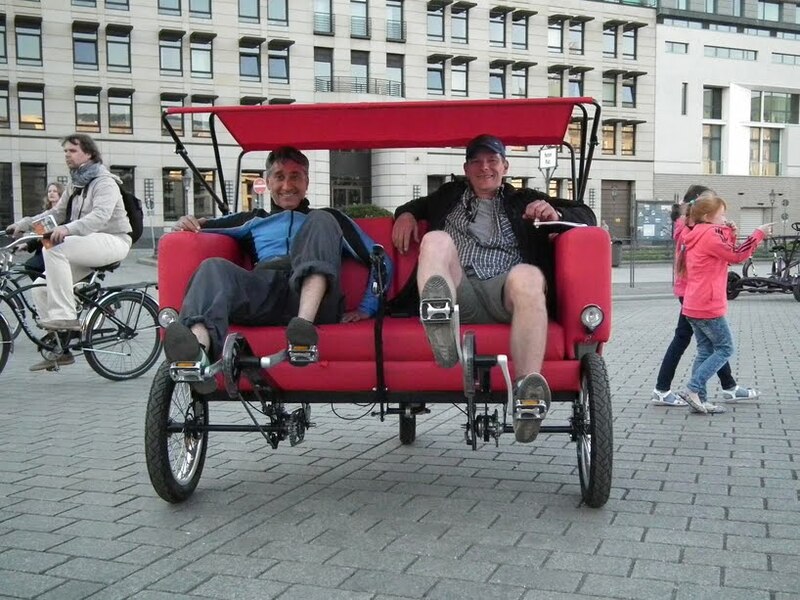 The 'bike couch' is also equipped with a sound system, 17 AH battery and a folding roof with gas springs. 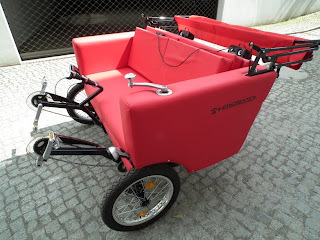 Sofa bike' was presented during DMY berlin 2011.